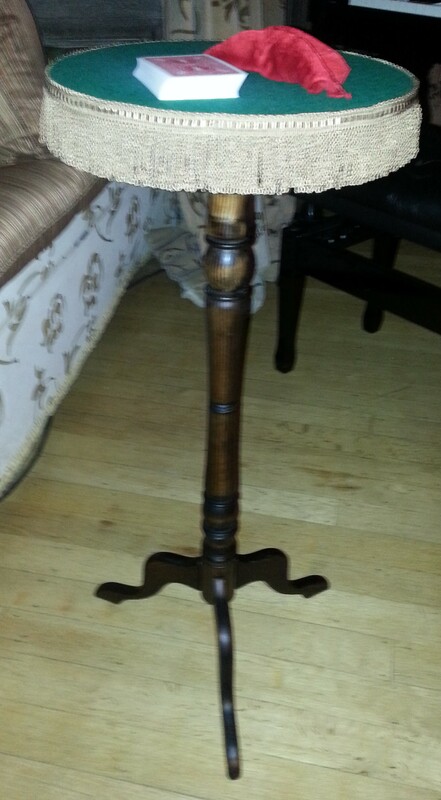 Edwardian style table with a round top. Edwardian style table with a rectangular top. 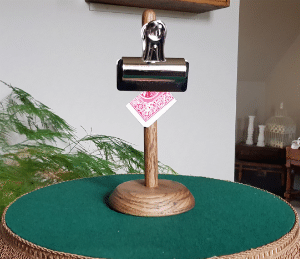 This indexer table allows you to steal a folded playing card/ billet to be produced whenever required. Sixteen cards / billets available when required during performance. Excellent when used in conjunction with Clipped.